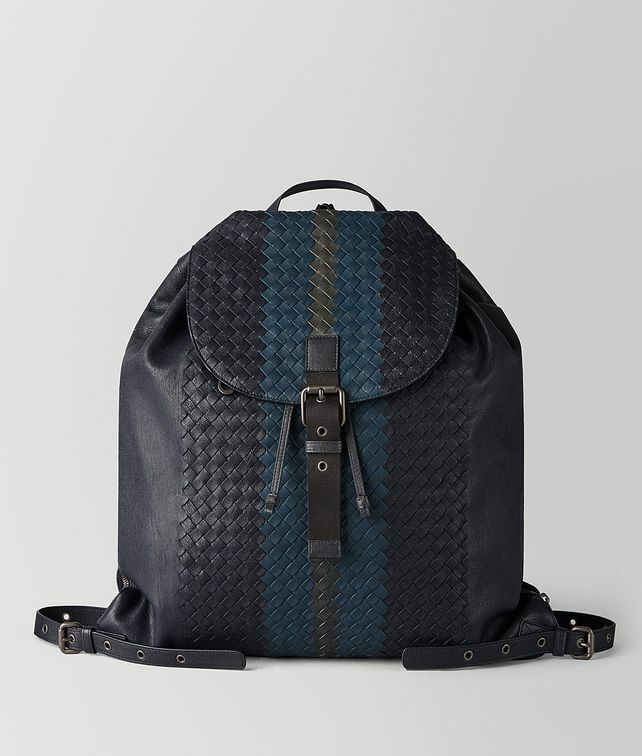 This modern take on the backpack is crafted from calf leather in three rich colours, handwoven to create a seamless colour-block motif. It features a drawstring top and padded interior with a snap-button pocket for enclosing a laptop or tablet. Finished with the house’s signature brunito hardware. Height: 44 cm | 17.3"
Width: 47 cm | 18.5"